Because it is just text with special formatting tags applied to it, any text editor can be used to create web pages with HTML. For example, you can use TextEdit, the text editor included with Mac OS X (Note: you must select Format, Make Plain Text before you enter your code in TextEdit). However, to create more advanced code, you may find it easier to work with a “What You See Is What You Get” or WYSIWYG commercial program such as Macromedia Dreamweaver or Realmac Software’s Rapidweaver. A great alternative to the commercial programs listed above is the free application Nvu. As with Dreamweaver and other commercial programs, you can use Nvu to create web pages using a WYSIWYG environment, but you still have the option of making changes to the HTML code by switching to code view. 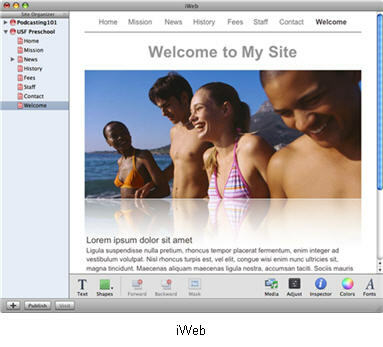 If you have iLife ’06 installed on your computer (it is installed by default on all new Macs or it can be purchased for $79 from Apple), you can use the iWeb program that is included with it to create web pages based on professionally designed templates. 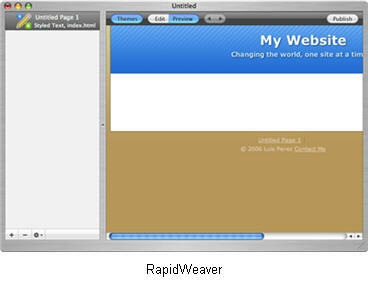 Unlike Nvu and Dreamweaver, iWeb does not make it possible to edit the HTML code for your web pages. 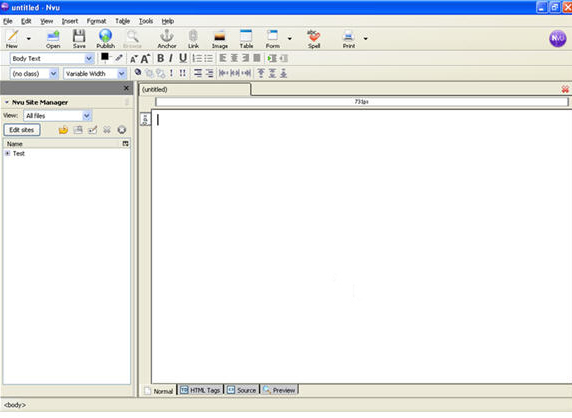 In order to edit the HTML code, you have to open pages created with iWeb using another program or a text editor such as TextEdit.